Recently, the European Association for the Study of Diabetes (EASD) concluded its meeting in Amsterdam (for some notes from the conference, see the Close Concerns postings from 9/18 , 9/21, and 9/24 as well as Kelly Close's revolutionhealth.com blogs from 9/18 and 9/21 for more details), and while a fair amount of the news seemed to be more repetition or updates to presentations made at this year's ADA Scientific Sessions held this summer, there were some noteworthy news items. Most notable was not related specifically to the EASD, but it was announced just before the EASD that Dr. Robert J. Heine was joining Eli Lilly and Company (see Lilly's press release here for more on that). Dr. Heine is currently professor of diabetology in the Department of Endocrinology and director of the Diabetes Centre at the VU (Vrije Universiteit) University Medical Center in Amsterdam, Netherlands. In addition to involvement in numerous research projects, Dr. Heine holds various positions within European diabetes organizations and associations, as well as a member of the ADA Expert Committee on guidelines for the treatment of hyperglycemia in type 2 diabetes. Dr. Heine's primary research interests is the epidemiology and pathophysiology of type 2 diabetes. This does not make him the most obvious choice for his new role, as Lilly's type 2 business actually remains fairly healthy (the Byetta franchise which is exclusively for the type 2 audience remains very healthy, although profits are shared with partner Amylin Pharmaceuticals, Inc.) while Lilly's insulin business aimed largely at the type 1 audience is the business that's in terrible shape. In fact, since Lilly introduced Humalog in 1996, the company's market share in insulin has plunged from 82% of the market back in 1995 (and as recently as 2000) to just 43% in 2006 according to IMS Health (Lilly still controls 50% of the insulin analog market, however). What's more, there are no insulins in late stage development except for an inhalable insulin similar to Exubera (and that's looking like a bust, although supporters claim the size of the bong its inhaled through is to blame, I think its the lack of using a standardized dosage that doomed Exubera). Dr. Heine cannot fix a lack of investment made over a decade ago, but he can support studies that demonstrate superiority of Lilly insulin products over rivals, possibly even ones like the Barbara Davis Diabetes Center study that showed it was feasible for patients to mix Humalog and Lantus in the same syringe without any adverse impact on glycemic control. As I elucidated in my January 18, 2005 Open Letter to Lilly CEO Sidney Taurel, it will take more than some fancy pens to turn around Lilly's insulin franchise. Although Dr. Heine was not necessarily the best choice, he certainly is a strong leader with a proven track record in the field of treatment. The fact remains that Lilly badly needs someone to turn the business around from a strategic standpoint, and having an articulate, powerful leader heading the endocrinology business at Lilly can go a long way towards getting research dollars that, in recent decades, were invested into treatments for unrelated conditions. These include such ailments as depression (Prozac, Cymbalta) and schizophrenia (Zyprexa) just to name a few blockbusters, as well as erectile dysfunction (Cialis), while the diabetes business has been forced to rely almost exclusively on outside partnerships for the past decade. Dr. Heine may bring a fresh perspective and new leadership to the Indianapolis-based company that has strayed from its roots as the first mass-producer of insulin made commercially available in North America. Unfortunately, when it comes to insulin, today, Lilly is a one-trick pony, offering no long-acting insulin whatsoever since removing Ultralente from the market in 2005. Basal insulin is often promoted as a treatment for type 2 diabetes, but as Rury Holman of Oxford University presented at the EASD, patients with type 2 diabetes are less likely to reach target blood sugar levels on the basal insulin alone than when on rapid-acting insulin products to cover meals, although truthfully, the differences were not really huge with either. This really is like proving the obvious, yet for some reason, most type 2 patients who begin insulin therapy start with basal insulin only. Still, in this study, involving 708 type 2 patients who had poor control of their disease despite taking two oral diabetes drugs, found that while all the insulins helped, only 8% of patients achieved target HbA1c below 6.5% with a basal insulin alone. 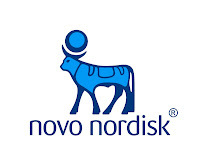 We shouldn't be too surprised that the study was sponsored by Novo Nordisk (although this study is scheduled to continue until 2009), a company that relies on revenues from insulin for such a large percentage of its profits. As Mads Krogsgaard Thomsen, Novo Nordisk's chief scientific officer so appropriately noted, "It [the 3-year study comparing three types of insulin in type 2 diabetes patients] shows you need a portfolio of insulins you can combine and intensify". One is usually not sufficient. Perhaps Dr. Heine should take note, as Lilly risks losing more managed care providers who seek to minimize the number of suppliers to their drug formularies. Unfortunately, as I noted before, drug development takes a decade (sometimes more), so Lilly may need to expand its partnerships if it wants to stop the slide in its insulin market share. However, it is hopeful that Dr. Heine will take take this into consideration. Beyond this little tidbit, Lilly's new tagline, "We Take Diabetes Personally" was also revealed. While having a good tagline is not a bad thing, I don't think that will be sufficient to stop Lilly's slide in prescriptions for insulin, only doing the hard work and offering a complete product portfolio will accomplish that. In other Business of Diabetes news, archrival Novo Nordisk recently announced some management re-shuffling which will take place January 1, 2008. Most notably, Martin Soeters, who is currently the Senior Vice President of Novo Nordisk North America and President of Novo Nordisk Inc. (the company's U.S. affiliate) is being moved to take up the position as Senior Vice President of the Europe region. Mr. Soeters was a hard-charging (some would go so far as to call him downright pompous) executive who reigned over Novo Nordisk North America and Novo Nordisk, Inc. during a period of the company's most dramatic growth. After all, this is the man who said publicly that there is no need for regular human insulin because analogs are so superior. To his credit, during his tenure, Novo Nordisk hired U.S. salespeople aggressively to call on doctors pushing Novo Nordisk insulins and pen devices, and the company worked aggressively with managed care providers and pharmacy benefit managers (PBMs) to secure "preferred" status on many big insurers' drug formularies, something rival Lilly failed to do rather than protecting a product line that had been filling the company's coffers since 1923. Novo surpassed Lilly as the market share leader back in 2005. Mr. Jerzy Gruhn will assume the roles currently held by Mr. Soeters. Aside from that, an insulin startup (and we rarely see many of those, unlike other therapeutics), Biodel, Inc., which went public in May 2007 (see my posts here, here and here for details) promoted continued success in its initial research. Their research did not appear to offer much beyond that which was presented at the ADA in Chicago, but clearly, company management is building awareness on a worldwide basis for the company's VIAject(TM) product, which works more (a few minutes) rapidly than Humalog, Novolog or Apidra, yet is structurally identical to regular human insulin with a few additives that improve the insulin's absorption, distribution, metabolism, and excretion (known as "ADME" in pharmaceutical industry lingo) via the subcutaneous tissue delivery. That improves its peak speed and duration of activity. And unless anyone forgets, there have been additives in our insulin since NPH was first introduced in 1946, so lets not complain about something that speeds it up a little. So far, it appears to offer a few benefits over non-insulin analogs, but those only serve to reduce blood glucose and may have unintended long-term impact, as patients now taking these products are the the long-term clinical trial subjects (do you recall enrolling in a clinical trial?). Also, Biodel announced they are now expanding VIAject's pivotal Phase III trials (which are already underway in the U.S., although I do not believe the studies are blinded) into Europe for type 1 and type 2 patients to support the company's planned European registration of VIAject according to Chairman and CEO Dr. Solomon S. Steiner. While Biodel may ultimately choose to or even need to partner with a larger company to manufacture its product, it doesn't look like Biodel will do much for Lilly's missing therapeutic: a long-acting insulin. Meanwhile, assuming the Phase III clinical trials now underway are successful, it looks like Biodel will be able to profit handsomely (much as Amylin was able to do with its Lilly partnership co-marketing Symlin and Byetta). Your blog is very informative. Thanks for taking time to post this information. I am doing research into how wives of type 1 diabetics are coping with this disease. We have an online survey which is on our blog here: Our blog. I hope this post is acceptable. Thanks.